La ricerca nel training analitico. Kernberg O. & Michels R. (2016) Thoughts on the present and future of psychoanalytic education (2016). J.A.P.A. 64/3: 477- 493. Kernberg O.F & Michels R. (2016) Thoughts on the present and future of psychoanalytic education. Journ.Amer.Psychoanal.Assn., 64/3:477-493. Il testo di Kernberg e Michels si articola in tre paragrafi (The Dominant Conflicts of Psychoanalytic Societies and Institutes, A Proposal for Change, Practical Recommendations). E’ seguito dal commento di Fonagy & Allison, Layton, Levy, McWilliams, Seligman, con replica finale di Kernberg e Michels. Lo segnaliamo in questa sezione di SpiWeb-Ricerca perché contiene vari riferimenti alla necessità di introdurre la ricerca empirica nel percorso formativo degli analisti. Sebbene l’analisi dei problemi della formazione analitica nasca dalla lunga esperienza dei due autori nelle società e negli istituti nord-americani, analisi e proposte sono generalizzabili. Kernberg in particolare, che è stato Presidente dell’I.P.A, alla fine degli anni ’90, è da decenni impegnato, con critiche e proposte, sulle questioni della formazione degli analisti (cfr., oltre ai numerosi articoli su riviste internazionali, due articoli pubblicati sulla Riv.Psicoanalisi: 1) Kernberg, O.F.(2001). 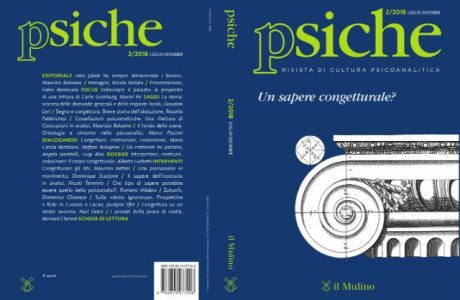 Alcune considerazioni sulle innovazioni nella formazione psicoanalitica.Riv.Psicoanal., 47:551-565, e 2) Ponsi, M., Monti, M.R. (1997). A proposito dell’articolo di Otto Kernberg: “Trenta metodi per distruggere la creatività dei candidati psicoanalisti”. Riv.Psicoanal., 43:91-97). Sulle problematiche che affliggono l’istituzione psicoanalitica e sui modi per farvi fronte le opinioni di Kernberg e Michels sono in gran parte concordanti, mentre su alcuni punti divergono. Centrale nel loro discorso è il tema della valutazione – valutazione della competenza professionale e valutazione dei risultati dei trattamenti analitici. Entrambi ritengono che il ritardo accumulato dall’istituzione psicoanalitica nell’adeguarsi a standard formativi adeguati ai tempi sia da ascrivere al ruolo dominante che vi ha assunto il Training Analyst System (TAS). p. 478-479 – The scientific activities of psychoanalysis are virtually paralyzed by its lack of systematic research and research training. There is an urgent need for empirical research dealing with alternative theories and technical approaches that under the present circumstances are “ecumenically tolerated” as parallel developments with unresolved questions. 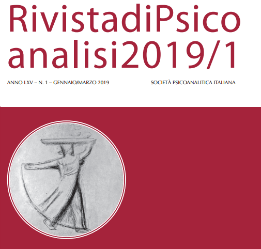 This grave neglect of research interest and training in psychoanalytic institutes, and the related lack of initiatives to obtain financial support for psychoanalytic research, are powerful negative influences on psychoanalysis as a science. The lack of scientifically trained psychoanalytic professionals who would consider academic careers and university professorships as major goals is a consequence of the implicit or even active discouragement of such careers by psychoanalytic educational institutions and by some leaders of the profession. Perhaps most disturbing, an increasing number of analysts seem to have little interest in empirical research, and believe that it offers nothing to their work. This attitude persists side by side with their claim for public support and health care funding, as if others should accept their conviction of its value without further evidence and despite the many health care professionals who are equally convinced that it is worthless. This is a classic situation that can be resolved only by systematic research, but the profession remains strangely disinterested. 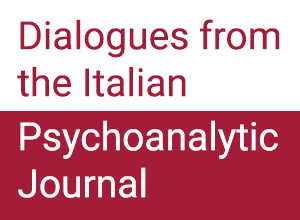 In short, we believe that while the contributions of psychoanalysis to the humanities will continue to be appreciated in their historical context, psychoanalysis, as a science and as a science-based profession, faces severe problems. p. 485 – An additional key function of psychoanalytic education should be the development of interest in research as an essential aspect of psychoanalytic inquiry. Institute faculty should include experts in conveying knowledge, experts in conveying the nature and management of clinical situations, and experts in personal supervision, in addition to experts in the methodology and teaching of psychoanalytic research. The selection of faculty is a complex process that necessarily must evolve differently in small and large institutes, and should for the most part be based on participation in group discussions and group supervisions, participation in scientific meetings and conferences, and the presentation and publication of clinical and theoretical material. p. 486 – Institute faculty should include supervisors, seminar leaders, and researchers, and should be advised by a representative group chosen by and from the candidates. p. 487 – A particularly serious problem arises from the institutes’ general lack of university affiliations, as a result of which the field’s scientific development has been truncated. Thus psychoanalysis has become a relatively static intellectual discipline, valorizing tradition rather than progress, and tolerating dialogue without requiring new knowledge. p. 488 – We recognize that psychoanalysis is more than a science. It obviously has other dimensions – hermeneutic and artistic, among others. However, we strongly believe that it encompasses important assertions about reality – facts, data. These can be formulated, tested, and accepted or rejected based on the results of these tests. These assertions involve the effect of interventions on the clinical process, the effect of the process on the patient’s life, early development and its impact on later development, and the relationship between subjective experience and bodily functions. Systematic research in these areas will enhance the field. If we have no interest in such research, the nonpsychoanalytic world will dismiss us as a cult. The development of such research, and (perhaps even more important) of enthusiasm and support for it within the profession, requires repairing our relationship with universities. As we have noted, the development of psychoanalytic research is essential for the survival and development of psychoanalysis as a profession. One of the troublesome consequences of the present training analyst system is the fostering of the training analyst position as the single major professional ideal. Adding other career tracks to this single ideal of psychoanalytic excellence, encouraging candidates aspiring to academic positions, stimulating and facilitating their development and rise within university hierarchies, and encouraging and rewarding candidates conducting psychoanalytic research would broaden the range of psychoanalytic careers. Not every psychoanalyst should become a researcher, and not every psychoanalytic institute is geared to becoming a research institution. However, the fostering of research should be a major goal of psychoanalytic education. Research ensures the questioning of traditionally transmitted assumptions that may no longer be viable. One requirement for such a development is the availability of expertise in research methodology. A major psychoanalytic institution should develop a research department that includes expertise in research design. Research on outcome of psychoanalysis, and on the relationship between process and outcome, is particularly important.